Branding is not only your logo, color or website. Its the answer to the question – Why you? Why should a customer pick you over the competition? What sets you apart? It’s your USP or Unique Selling Proposition. 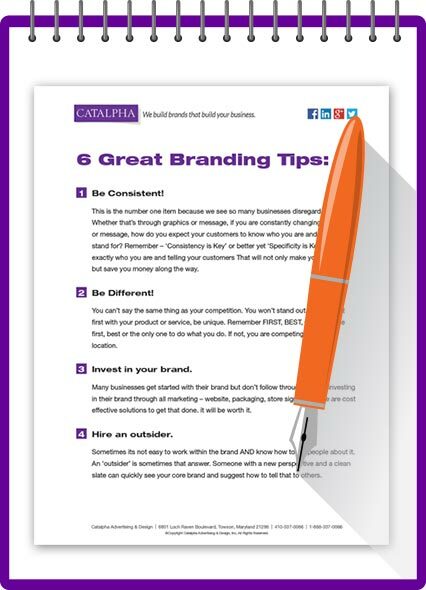 Download Catalpha’s Free Tip Sheet “ 6 Great Branding Tips” and get started developing your brand today! Give us a call 888-337-0066, or use the form to download your free copy today.